Schalke and us have already made a deal. It doesn't count for next season tho, does it? Ondoa +2; Guedes +1; Oulare +1; Puscas +2; Vazques +2. Signed Mignolet for Smalling and Butland. Mignolet has been in excellent form recently and I think that Smalling will either soon become a bit part player or be sold. This means that I could consider offers for De Gea although it would need to be a very good bid. Real Madrid need a GK and Valdes probably hasn't been signed to be a sub. Join the dots. No new deals count from the moment the gameworld ticks over which is tomorrow i think. I chose Dória as my "breakthrough player", back in the season where we had that rule. Can I choose him again or will I have to pick a different player? "Get that promotion, or else ...."
and that's it, it was left on purpose for imagination to takes over. Seems like it will be the highest priority now, even though Van Klinkert Delarosa have voiced his concern over the strength and depth of his new team. "3 Internal deal or else ..."
#weareacmilan decide to sell one of club important players to make sure the rule can be done. Daley Blind will be heading to Manchester City in exchange for Roberto Firmino + John Guidetti. Firmino - the inventor of heart shape celebration, before some wannabe trademark the celebration. I'm very pleased that we managed to secured some deal at the beginning of the season, it showed that we are truly ready for the new season and we don't want any necessary distraction throughout the season. Arsenal just keep missing out on promotion,this will be the season! 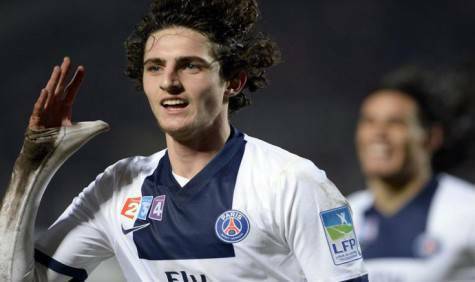 Real Madrid manager Carlo Ashelotti is delighted to announce that Adrien Rabiot will be integrated into the first team setup with immediate effect. "he will play at least 5 league games, and I am delighted to have him involved", said Ashelotti. SSC Napoli move up Domenico Berardi to the senior team after impressing the coach when called upon last season. Berardi finished last season with the impressive record of 3 assists in 4 appearances. And this season he is expected to be given even more opportunities to impress the manager. In addition to his first team call up, Domenico was awarded with a new 3 year contract in order to scare away other clubs now that silly season is about to begin. Liverpool manager assures that powerhorse Juan Bernat will be playing more than 300 minutes this season! But who is your allocated player? What is this breakthrough player that keeps popping around? Didn't find any info on the first page. Ah, I thought it was another set of rules. Thanks. Didn`t know that there is a rule of rating so I will have to replace Bernat with Rudiger. It is rumoured that Cristiano Ronaldo and Gareth Bale will be making moves to the Camp Nou in a mega exchange deal which will see Neymar ,Paul Pogba and Lucas Moura move to the Santiago Bernebau. Both managers seem pleased with the deal and this will see the duo of Messi and Ronaldo line up on the pitch together next season. Anyone willing to part with there GK for a very good offer? With Rabiot replacing Alonso for a minimum of 5 games.